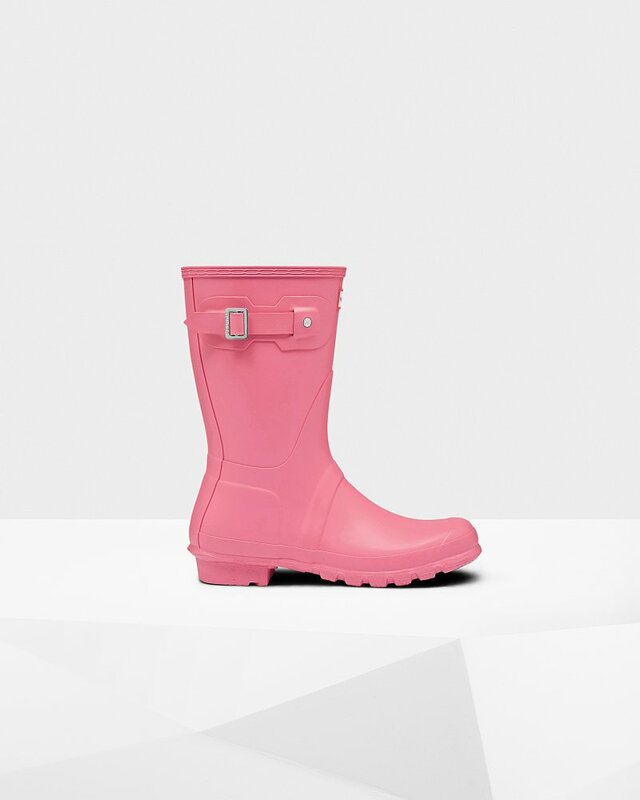 Women's Original Short Rain Boots is rated 4.3 out of 5 by 77. Version plus basse de la botte montante classique Hunter Original, la bottine Original est parfaite pour les conditions humides. Fabriquée à la main à partir de 28 pièces en caoutchouc naturel, cette icône Original prend trois jours à assembler, avant d'être vulcanisée pour encore plus de protection. Rated 5 out of 5 by JeHo from Love! I was looking for a winter boot that was completely waterproof but also warm. These boots were more than what I was looking for, to survive a Canadian winter. They are great for warm weather and can be paired with boot socks for cold weather. I love the colour! Very durable. Rated 1 out of 5 by Miller from hunter boots I just got the boots and hope they are better then the last. If they do the same things as before. I won't email back and go to another company. If the do after a year I will give Hunter a review it should get. Thanks for backing your product. Rated 5 out of 5 by NURKIV from Perfect fit Bought these for my niece. She typically wears a 6.5, but there are no half sizes. Ordered a 7, they fit perfectly with or without her Hunter Socks. Well made, colour as seen online. Rated 5 out of 5 by Brad from Wife loved them! Got these for my wife for Christmas. Fast shipping and great quality!